I wrote this today as I traveled. I am home safe now and it has been a great night. I can feel it. I am almost home. My body is tired from travel and I am sure that I smell. I have been in the same clothes for almost 40 hours. Before we left Ethiopia yesterday, we went to a traditional restaurant where they served us all sorts of spicy foods. They were burning incense and roasting coffee, and the restaurant was filled with smoke from all the cooking. My clothes now carry a smell that is less than desirable, sort of a mix between strange spices, airplane seats, coffee, smoke mixed with my body smell. Have I grossed you out? I look forward to getting home, changing into clean clothes and taking a bath. When we boarded our flight from Addis Ababa, I sat down in my seat and got a whiff of the man next to me. My eyes rolled back inside my head and I almost passed out (ok, a slight exaggeration). I admit I was rather disappointed that I would spend the next seven hours next to “Smelly Man”. Now that I am on my last flight, I am wondering if I am making others feel the same after my 30 hours of travel. Speaking of smelly, I gave up comfort and luxury this week. We stayed at this rustic camp and we all shared one bathroom. We could have used the shower house at the camp, which had multiple toilets and showers, but because the owners stored their goats in the shower house at night, none of us were too interested in using it. Before you decide to never go on a Compassion trip, I want you to know that it usually isn’t like this. Usually we try to book places where goats and people don’t reside together. On the bright side, the food was good and the surroundings were beautiful. Often, as the leader of a trip, I put my emotions on the sidelines. Now that the trip was coming to an end, I was letting down, coming off the adrenaline and the emotions were catching up. “Smelly Man”was the icing on the cake. I actually took my blanket and covered my entire head because the tears where streaming down my cheeks and I wanted privacy for my cry. I thought I had it under control, but then I started thinking about child led homes, orphans and all the stories; I kept seeing faces in my head. Am I supposed to live in a constant state of brokenness? As I gave up comfort and luxury this week, I thought about fasting. When our bellies are empty, we realize something is missing. We hunger and we recognize our need. I can’t remember the last time I fasted. What if I fasted more often to remind me to pray for these children, to remind me of my brokenness? What if I took the money that I would spend on a meal, and gave it away? I could buy another pair of shoes for http://www.shoesforkids.me. I could buy underwear for a little girl who has none. I could buy socks, or a bag of rice for a family. What if I just gave up going to Starbucks for one month? How much would I save then? I do believe we are to live in the constant state of brokenness to remember our need for a Savior. I am not talking about living in a constant state of sadness; I am speaking about the heart and humility. Living with the knowledge of our own spiritual need so we can cling to our Savior. Recognizing the needs of others so we can respond. Having a compassionate heart for the world. Moving from selfishness to selflessness. Understanding the luxury of our own lives, and being broken for those who have nothing. Being gracious, giving sacrificially, so others can simply live. Passionately living out our calling no matter the price. In our comfort and luxury, there is a temptation to forget our spiritual need, our brokenness, and our deprivation. We become complacent. I am now on my last flight and my mind is focused on home. I get to kiss and hug my girls, see my mom, pet my cute little dogs, sleep in my bed and take a bath. I get to eat great food because my mom is cooking tonight, change out of my dirty clothes and live in clean home. Luxury. But I don’t want to forget, I don’t want to get complacent, I don’t want to let go of my brokenness so that I might cling to the one who heals. He broke for us. Can we break for Him? He bore our sins on the tree so that we might be healed. Great post. I hope we never stop struggling with these realities. We are again reminded that this world is not our home. I can’t wait to get home and hear more about your trip. Thank you for your honesty Patricia! 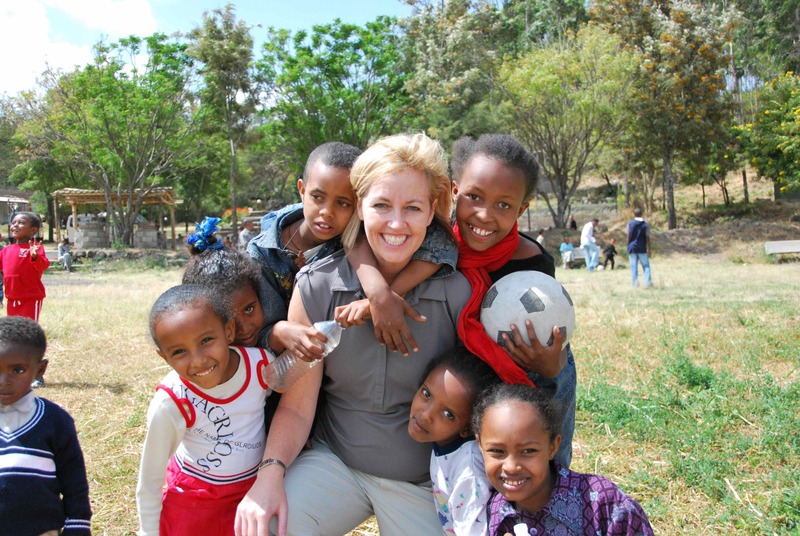 Our little Firehiot lives in Ethiopia…. This is beautiful and wonderfully written. I’m going to be passing this along….you’ve put into words what I’ve been feeling.